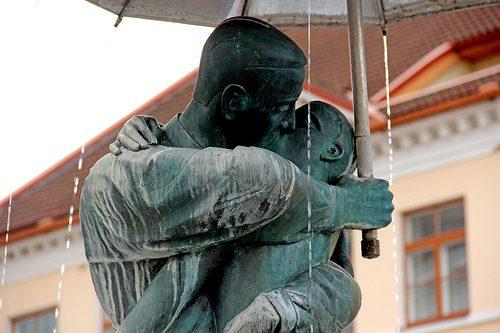 Kissing Students [Estonian: Suudlevad Tudengid] has become a symbol of Tartu. 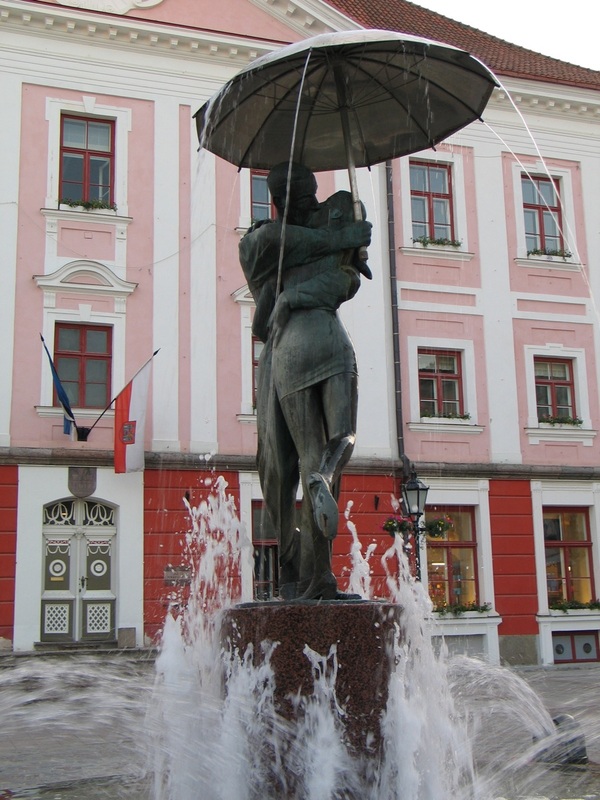 Is a fountain and a sculpture in Tartu, Estonia, located at the Tartu Town Hall Square and erected in 1998 and conceived by Mati Karmin 1959, one of Estonia's most renowned contemporary sculptors. 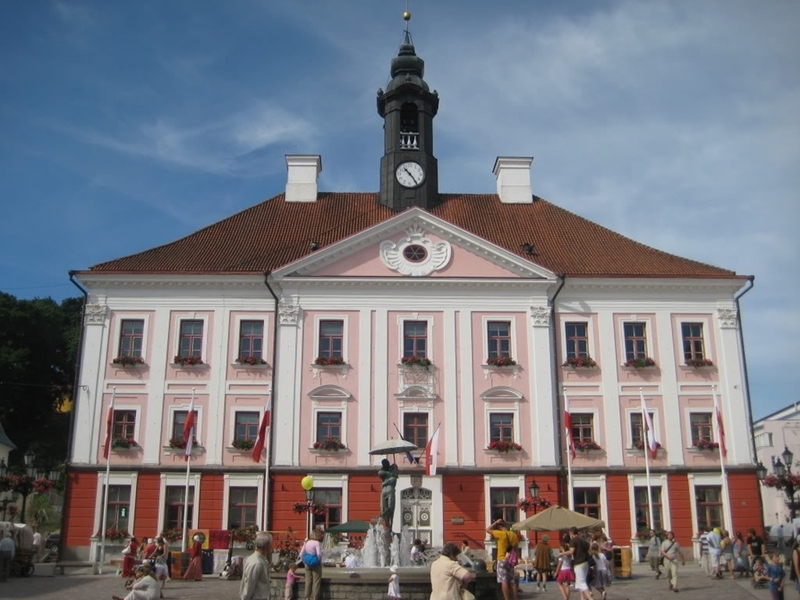 The city is best known for being home to the University of Tartu, founded under King Gustavus Adolphus of Sweden in 1632. 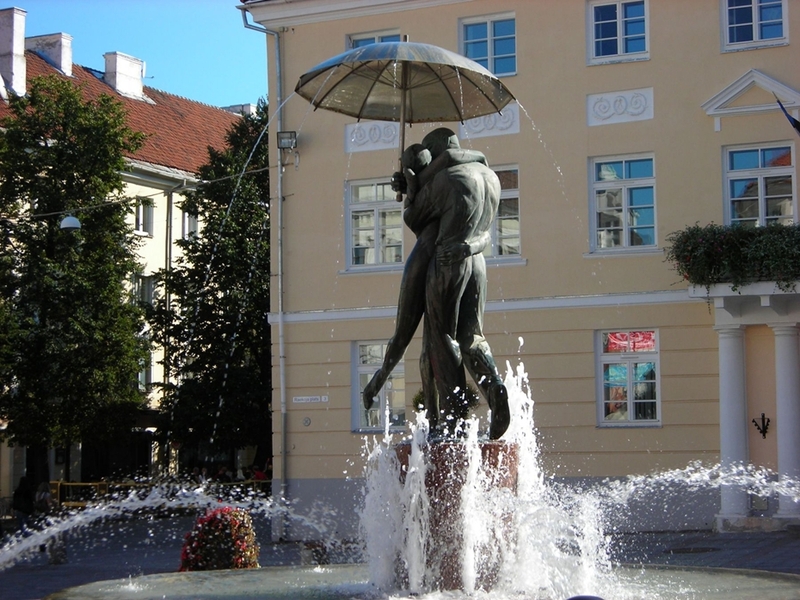 Mainly for this reason, Tartu is also, tongue-in-cheek, known as "Athens of the Emajõgi" or as "Heidelberg of the North". 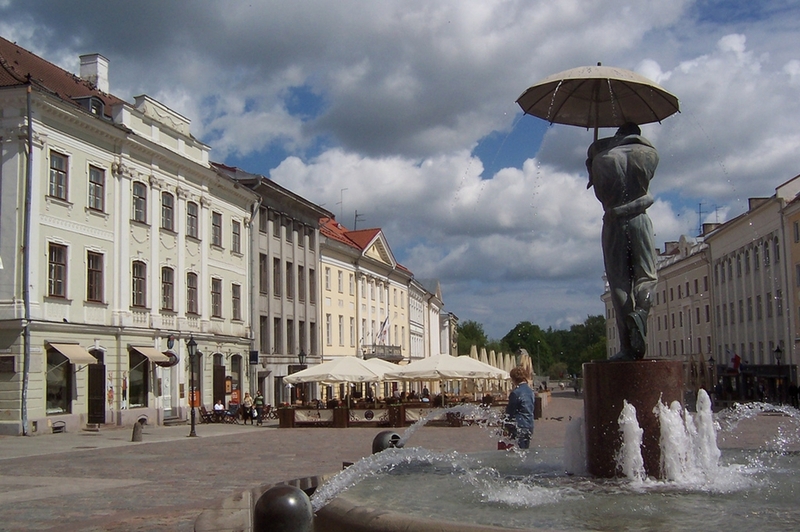 Tartu is also the seat of the Estonian University of Life Sciences, the Baltic Defence College, Estonian Aviation Academy (formerly known as Tartu Aviation College), and the Estonian Ministry of Education and Research. 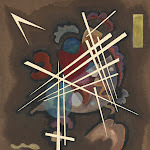 Other notable institutions include the Supreme Court of Estonia (re-established in Tartu in autumn 1993), the Estonian Historical Archives, Estonian National Museum, Estonian Sports Museum as well as the oldest and renowned theatre in the country, Vanemuine. 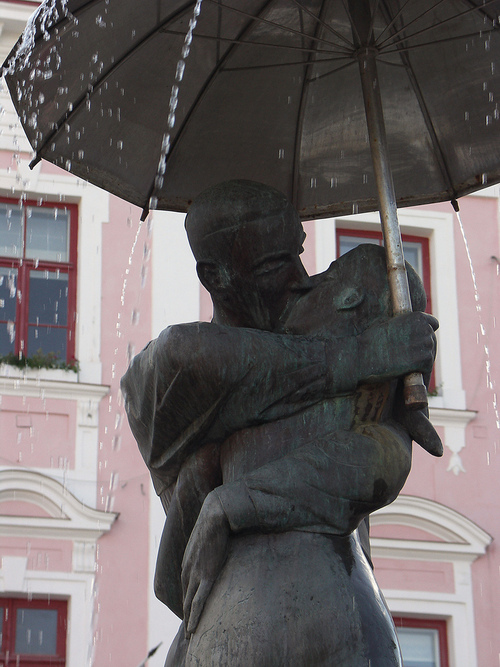 The Kissing Students sculpture and fountain is one of the most recognised symbols of Tartu. 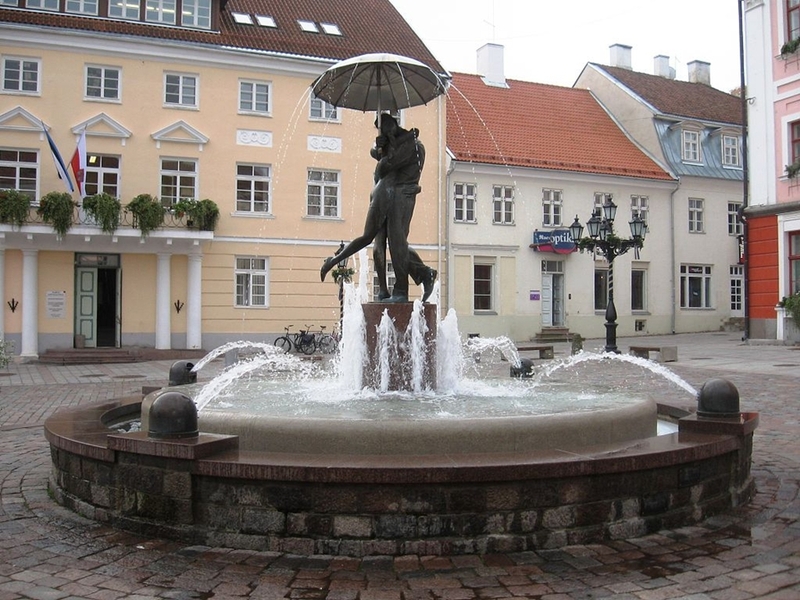 A fountain has stood in the same place since 1948, when newlyweds and their guests would visit it for luck, and people would also take a dip in it. 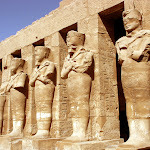 The sculpture was created by Mati Karmin and completed in 1998. 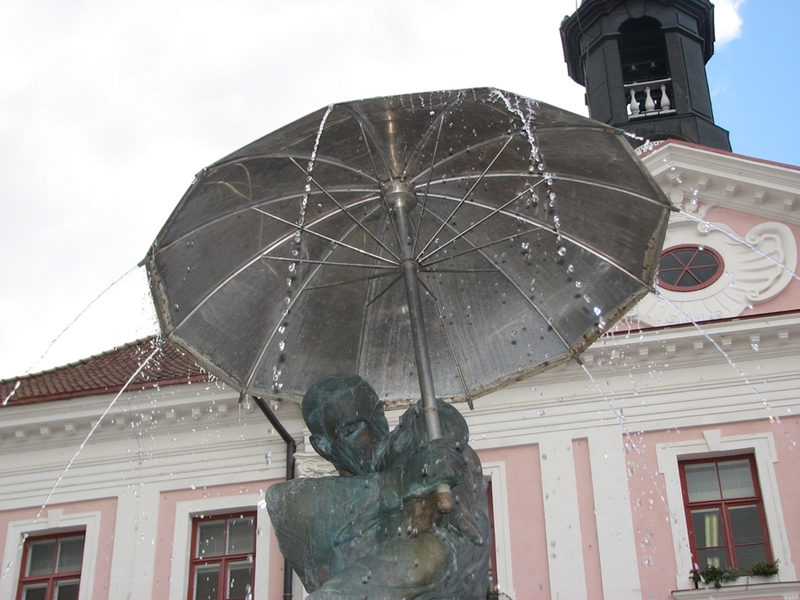 Since 2006 the fountain has been surrounded by tiles bearing the names of Tartu's sister cities: Bærum, Deventer, Ferrara, Fredriksberg, Hafnarfjörður, Hämeenlinna, Kaunas, Lüneburg, Pihkva, Riia, Salisbury, Tampere, Turu, Uppsala, Veszprem and Zutphen. 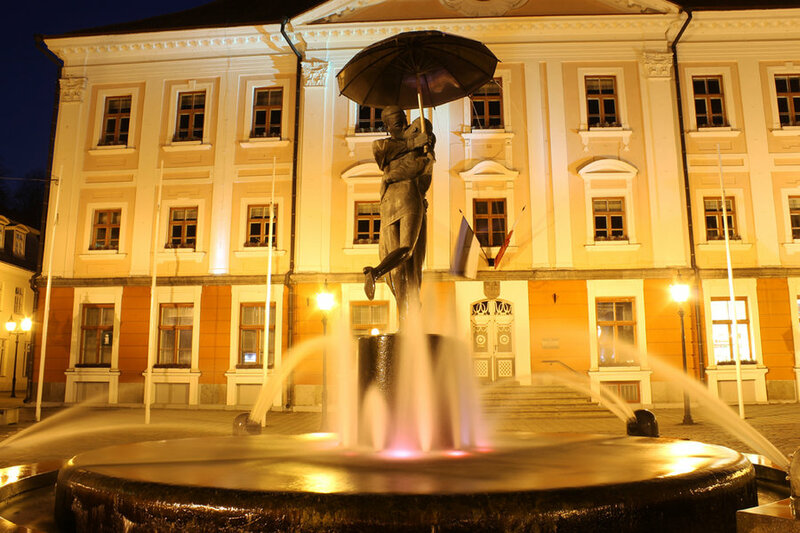 They are situated in the direction that the cities lie from Tartu, marking the distances.